The Sultanate of Oman has a rich and compelling history dating back over 4,000 years to the pre-Islamic era. Archaeologists believe humans first migrated north through Oman, and it is this unique legacy that forms the central vision for increased tourism to the Arab state under the leadership of His Majesty Sultan Qaboos bin Said. His Majesty has ruled the sultanate since 1970, guiding an under-developed country – almost completely closed to visitors – to become a growing 21st-century business and industrial hub. Tourism has been a key economic driver in the past, creating job opportunities and encouraging further investment into the country. The age-old charm and immense natural beauty sets the country apart in the region. Its 2,000km of coastline, beaches, and warm seas still have fishing boats passing in and out every day, offering an insight into how life has been for hundreds of years. The traditional industries in Oman continue to play a vital role in the country’s economy and developers have been keen to boost the non-oil sectors of real estate and tourism. Under Vision 2020 – the Omani blueprint for a sustainable future – tourism has once more been identified as a major economic driver. The programme aims to create employment opportunities for Omani nationals in the growing private sector, while showcasing Oman to the world. In an economy still dominated by hydrocarbons, the travel and tourism industry has grown sharply in the last three years, reaching €735.6bn in revenue for the first time in 2012 and directly contributing three percent of the country’s GDP. The wider sector is estimated by the World Economic Fund to be worth €1.55bn and contributing 6.6 percent to GDP. Vision 2020 outlines plans for the industry’s direct contribution to rise to five percent of the GDP by 2020, and a total direct and indirect contribution of 10 percent. To realise this ambitious plan, €36.78bn has been invested in large-scale transport infrastructure developments and integrated tourism complexes (ITCs) across Oman. These have been built to capture niche markets and cater to families from around not only the GCC, and the wider MENA region, but also the rest of the world. The Wave Muscat, a €1.84bn mixed-use project developed in partnership between the Omani Government and Dubai-based Majid Al-Futtaim, is the first ITC in the country and based in the capital. The planned development stretches along six kilometres of pristine coastline and is fast becoming Oman’s number one lifestyle and leisure destination. Once complete, it will include four luxury hotels, leisure facilities, and 4,000 residential properties available as villas, townhouses, courtyard homes and apartments. Through its diverse offerings, The Wave is bridging people, business and culture to create a world-class waterfront community. Hawazen Esber, an architect with a masters degree in building engineering and architecture from the Tokyo Institute of Technology, was appointed CEO of The Wave Muscat in November 2013. Since then, he has overseen the next stages in the master plan and has ensured that the development continues to mature into an integrated waterfront community. 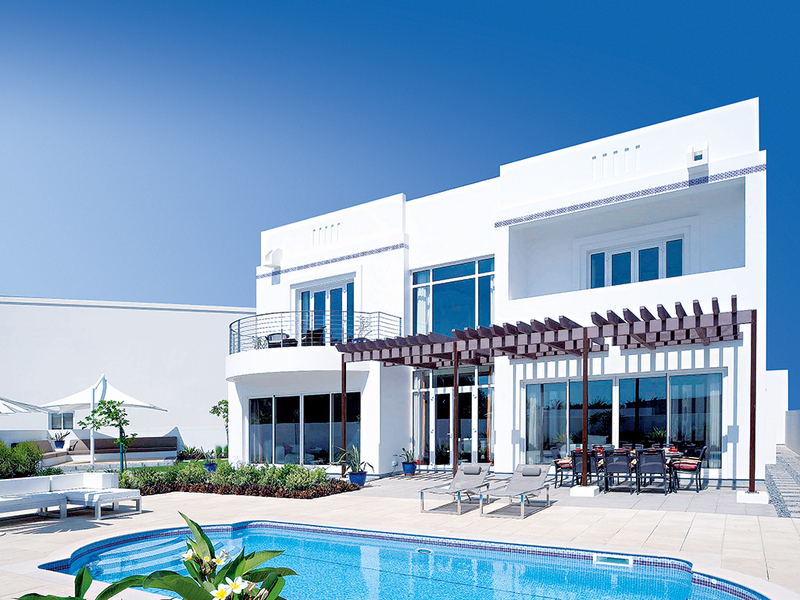 Properties at The Wave are available freehold to non-Omani nationals, with the right to apply for residency included. In the six years since the first residential release became available, over 1,600 properties have been sold and 1,200 handed over to more than 3,000 residents. The timelessness of Omani architecture is a clear inspiration throughout the waterfront community, incorporating traditional design elements with stylish modern interiors to provide luxury accommodation for families of all sizes. Community elements including green parkland spaces are interconnected through pedestrian pathways. A selection of play equipment for different age groups are an additional attraction for young families and have been an essential part of the developer’s plans since the beginning. “Last year was record breaking for The Wave Muscat, with over $130m [€95.6m] in off plan sales and record resale activity. Due to the overwhelming popularity of our completed properties, further phases of the development have been brought forward and released ahead of schedule to meet market demand for distinctive living space,” says Esber. Esber believes that ITCs are evolving from being a concept to attract foreign investment via residential property, to being an important economic platform for the development. This is highlighted by new concepts that are being introduced on the assets side, such as serviced apartments and office parks, as well as indoor and outdoor entertainment or culture related activities. In 2013, The Wave reached the milestone of handing over 1,000 properties to the owners since the project broke ground. A further four residential projects were launched in the same year, with more than 350 properties offered to customers, and some launches selling out within a couple of months. This positive momentum is expected to continue throughout this year with strong annual sales anticipated, especially as new precincts have been released ahead of schedule, due to high levels of buyer interest from the local market and emerging international interest in Oman. Following increasing demand from the local market and high-end international buyers, the development is being reinvigorated to include more premium residences such as signature ocean front and golf course villas and apartments with bespoke concierge services. The Wave will also feature four hotels operated by luxury global hoteliers. The first hospitality component to be completed will be The Kempinski, a beachfront five-star hotel with 309 rooms and suites, as well as 77 branded hotel apartments. Scheduled to open in 2015, the hotel will also offer fine dining, food and beverage outlets, meeting and conferencing amenities, and leisure facilities including swimming pools, a spa, gym, and ballroom. More recently, The Wave signed an agreement with local developer Taameer Investments to construct a 190-room four-star hotel, positioned as a business hotel and operated by Shaza Hotels. Two more hotels are currently in the planning stage with details due to be announced next year. Initial plans are for a 290-room, five-star hotel and spa adjacent to the highly rated Almouj Golf, and a 200-room five-star hotel that overlooks the marina. On the commercial front, The Walk precinct hosts a number of restaurants and cafes, some run by local Omani businessmen and women, serving the basic needs of the residents living at The Wave. These appear alongside totally new concepts being introduced into the country for the first time. The Walk, which opened in July, is located in the heart of the marina village and is set to become the commercial and leisure hub of the ITC. The palm-lined boulevard with outdoor dining, which leads down to a harbour side outdoor piazza and boardwalk, links residential marina apartment buildings and the beachfront of The Kempinski hotel. In response to the growing demand for commercial offices from SMEs and the corporate sector, an onsite office park is due to open in 2016. Plans to create 24,000sq m of office space are currently in progress and construction is expected to start early next year. The vision for The Wave is to deliver outstanding lifestyle and leisure experiences for residents, tourists and visitors. 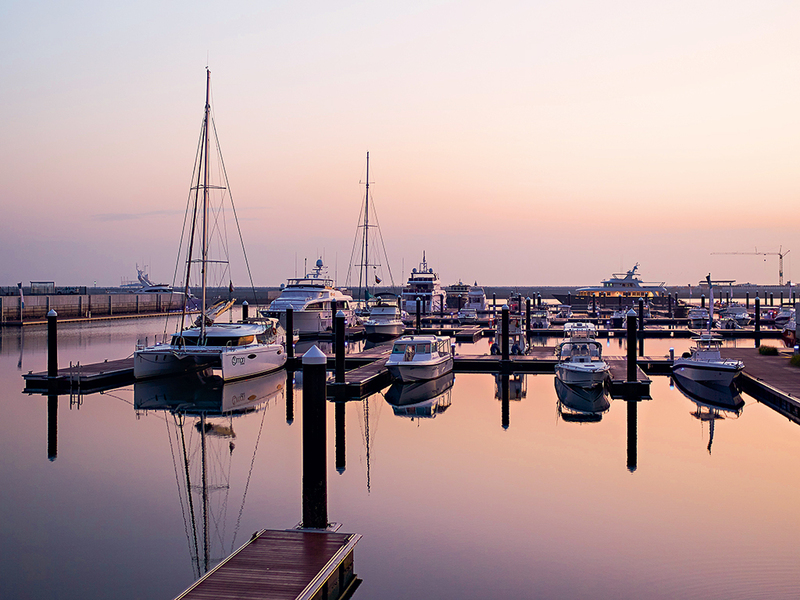 It is home to the Almouj Marina, Oman’s largest private yachting hub. The marina was recently awarded the coveted International Clean Marina accreditation, a regional-first international marine industry achievement award. It is well placed to support the larger global yachting fraternity including the transient boating world and is positioned to serve the surrounding island destinations. Almouj Marina is also a host venue of the international Extreme Sailing Series and RC-44 class events, as well as being home to a host of diving and charter operations. The development also offers an exceptional golf experience with Almouj Golf, designed by legendary professional golfer Greg Norman. The course was named among the top four golf courses in the Middle East and was voted as the top golf club in the MENA region earlier this year. It is also home to the National Bank of Oman Classic, the first European Challenge Tour event to be played in the GCC, and accounts for over 60 percent of the total visitor golf rounds played in Oman. Almouj Golf incorporates traditional Omani elements with dunes shaped like the bordering Hajaar Mountains, natural lakes, crushed Omani marble bunkers and an island green making up the unique course. A flood-lit, nine-hole, par-three course also affords avid golfers the ability to hone their skills at night. The well-planned and long-term government initiatives and investments, sound financial policies adopted by the Central Bank of Oman and increased demand and population growth, have created opportunities for the ITC markets to thrive in the sultanate. This has also painted a very solid and sustainable picture for the future of the real estate market. These are the very fundamental factors that are evident in the foundation and strategic make-up of The Wave and what has made the plans a success. Since the development began in 2006, several ITCs have joined the landscape in Oman, as the tourism and real estate industry continues to evolve. The alignment between the government’s vision and growing interest from around the world in Oman’s sustainable economic future has positioned the ITCs to benefit significantly. Going a step further, The Wave has challenged the ITC industry to develop support mechanisms for emerging local SMEs to develop their ideas and businesses instead of giving all the commercial opportunities away to international brands and concepts. Oman has a rich source of authentic ideas and according to Esber, ITC’s have a vital role to play in unlocking and developing these organic talents in the future. Could negative interest rates be positive for the economy?